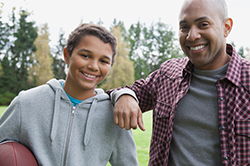 Take a look at these 10 clever tips to help you better connect with a student, mentee, sibling, or other young person in your life. Mercy Home’s Friends First mentoring program helps children like Jordan learn how to ride a bike and gain a friend for life. MercyWorks Alumni, Luis Bahena, reflects on how the importance of social justice and throughout his MercyWorks year, he challenged his community to get to know their youth but most importantly be an advocate for them. MercyWorks Alumni, Emmy Smith, reflects on her experience as a MercyWorker helped foster her understanding of sustainability as a life-long value. MercyWorks Alumni, Latoya Binghham, reflects upon finding a sense of peace and spirituality during her time as a MercyWorker. MercyWorks Alumni, Kirstin Noe Yeado, reflects on her experience living in an intentional community and how it influenced her in the years since MercyWorks experience, to continue to build community in both personal and professional roles. MercyWorks Alumni, Matt Boland, reflects on his experience being able to further his career with on-site professional development opportunities, job experience, and mentorship. One of our MercyWorks volunteers was named the Volunteer of the Week by Service Illinois. Our workplace-based mentoring program recently kicked off its second year, matching young women from St. Malachy with mentors from AT&T.